Coffman Trailer Sales is a family owned and operated trailer company that has been in business since 2010. We are an established dealership for Elite & Load Trail trailers, and we are growing bigger and better every single day. 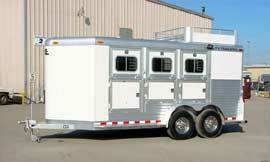 We firmly believe in selling the highest quality trailers available while maintaining very competitive pricing. 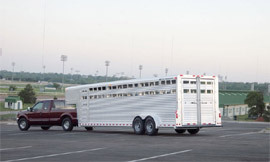 Elite Trailers have been the front-runner for custom aluminum horse and stock trailers since the opening of their doors in 1995. They control the highest margin of market share of the trailer industry and work every day to improve their trailers and manufacturing process. 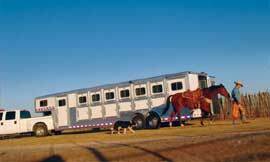 Elite Trailer specializes in, but is not limited to, horse (LQ & non-LQ), stock combos, livestock, low profile livestock, show trailers, enclosed cargo and car hauler trailers. Load Trail has been building top-quality open cargo, utility, dump, flatbeds, tilt, and car hauler trailers since 1996. They were the fastest growing trailer company in any branch or market of the entire trailer industry for 2014. All Load Trail & Load Max are built right here in Texas and come with their industry- leading warranty coverage. Trademarked the “2-3-2 Protection Plan,” it covers the entire trailer for 2 years, the structure for 3 years, and offers free roadside assistance for 2 years. They aren’t the fastest growing trailer company for nothing. One of our major distinctions from other companies is the fact that we offer custom trailer ordering with endless available options in order to get you the trailer of your dreams. We offer delivery across North America and also have a full-service shop where we work on pretty much anything. Although neither of our trailer lines often require it, we have the ability to do all of our warranty work in-house. 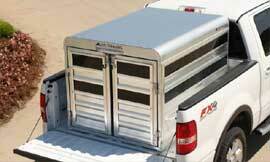 Many trailer companies strive towards lowest-cost production, which in turn leads to a lesser-quality result. Both of our manufacturers do the exact opposite, in that we do not cut corners. Year to year our trailer becomes better and better while staying competitively priced. We do not believe in the cookie cutter approach to anything. We are coming off a record setting year in 2014 and we are very excited about the years to come! Copyright 2010-2015© Coffman Trailer Sales. All Rights Reserved.